Nothing sells like controversy. Especially when you have a movie up for release. Just when you thought the Kangana-Hrithik matter is a thing of the past and all and sundry have moved on, the actress has once again reopened the matter on Rajat Sharma’s popular talk show, ‘Aap Ki Adalat’. What is interesting to note is her next film, Simran is releasing on September 15. Publicity stunt? Most probably because undoubtedly the interview is slated to grab eyeballs and Kangana will manage to create enough sensational buzz as her film approaches its release. 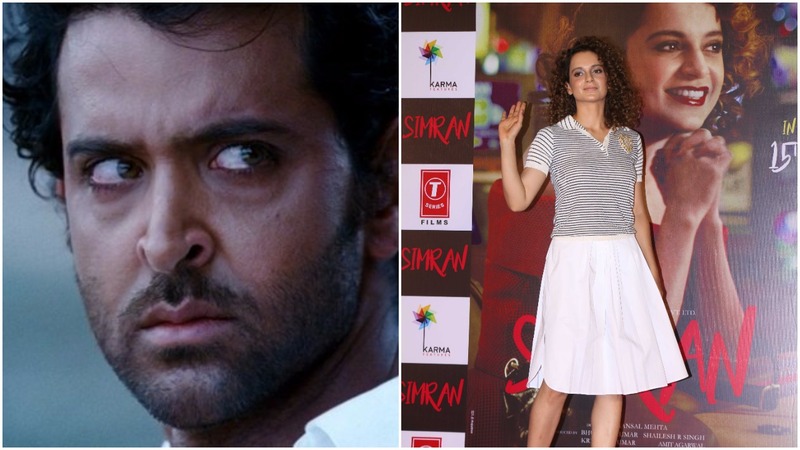 In a teaser of the interview that has been released, Kangana is seen demanding an apology from Hrithik for causing her stress and trauma. “Usko yahan bulayi. ek ek question puchiye because maine notice nahi bheja tha. Itni bezatti main ne sahi hui hai jiska koi hisaab nahi. Raaton tak main roti thi. Mujhe stress hua, mental trauma hua. Mere naam pe woh ghatiya wahiyat mails release kare hue hai jinko aaj bhi log google karke padthe hai aur chatkare lete hai..yeh batameezi ke liye mujhe maafi chahiye usse,” says Kangana who is in the witness box to Rajat and his audience. The feisty actress had received much praise and support from many quarters for putting up a spirited fight against Hrithik Roshan early last year. However her latest interview looks much like an orchestrated publicity stunt smartly aimed at creating maximum buzz before her movie’s release. Wonder what else is left for her to milk from the Hrithik saga. She has spoken about Hrithik on various forums, interviews and talk shows. Talking anymore on the issue is akin to attempting to squeeze water out of stone. Let’s wait and see if Hrithik will come up with a rebuttal in reponse to Kangana’s latest war(vaar) or will maintain stoic silence as always in the matter.